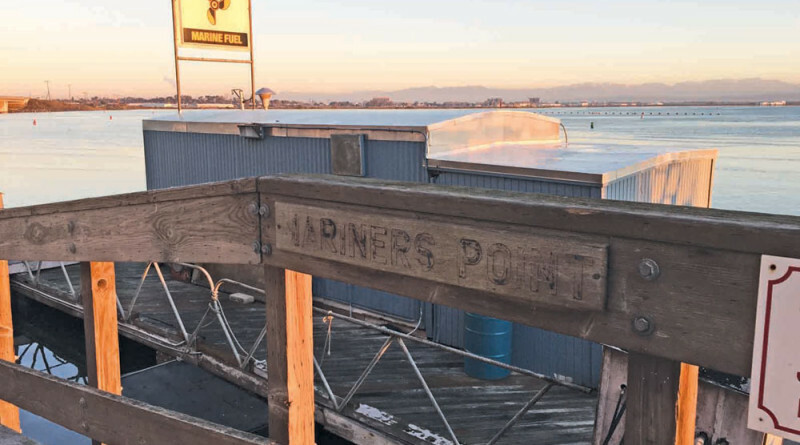 HUNTINGTON BEACH — Huntington Harbour boaters have a fuel dock again, thanks to a deal struck by the city and Maxum Petroleum. The Huntington Beach City Council unanimously approved an agreement with Maxum Petroleum on Dec. 21, 2015 to have the gasoline supplier resume fueling operations at Mariner’s Point Fuel Dock, the harbor’s lone marine fuel venue. Huntington Harbour’s fuel dock went dark on Oct. 1, 2015, leaving local boaters without a fueling station. Council members approved the purchase of the fuel dock for $25,000 and sale of the venue for the same price to Maxum Petroleum. Maxum Petroleum President Charles McDaniel said his company is the largest supplier of marine diesel on the West Coast and has been in the maritime business since 1946. The company also operates the sole fuel dock in San Francisco Harbor and marine fueling stations in Seattle and Los Angeles’ Terminal Island. McDaniel estimated the fuel dock could be operational again within the next three to four months, though he hopes boaters can begin fueling up as early as mid-February. The initial phase will be a facelift, McDaniel said; the underground storage tanks likely to be replaced in next phase. He estimated Maxum Petroleum would invest $500,000 into the fuel dock within the next two to three years. The operator will also pay up to $10,000 for environmental testing and insurance. The fuel dock services up to 6,000 recreational boaters, according to city staff. “We got a great deal out of it,” Council member Erik Peterson said. Center Cal Properties and Nahas Enterprises announced in June 2015 they would be vacating Mariner’s Point Fuel Dock. The fueling station officially closed Oct. 1. Huntington Beach officials tried to implement solutions ahead of the closure but were unable to execute a plan prior to the departure of Center Cal and Nahas. The city held a handful of closed session meetings since Oct. 1, 2015 to come up with a solution. City council members announced at the Dec. 21, 2015 meeting there were several attempts to come up with a viable solution during recent weeks. Orange County Supervisor Michelle Steel was among the officials who helped the city with contingency plans, according to council members. California’s State Lands Commission reportedly assisted in putting the deal together. Orange County officials helped set up a temporary fuel dock at a Huntington Harbour marina in case a deal was not ready to go. Not having a fuel dock in Huntington Harbour meant the closest on-water fueling stations for boaters were at Alamitos Bay Marina, Newport Harbor or San Pedro/Wilmington. Residents worried the loss of Huntington Harbour’s fuel dock would result in diminished home values. There was also a concern Mariner’s Point’s previous owners could have filled the underground fuel storage tanks with cement or otherwise decommission the station in order to permanently shut down the dock, but doing so without county permits would subject Center Cal and Nahas to fines. County records show no permits were pulled to decommission the underground fuel tanks. City staff stated the fuel dock does not pose an environmental risk to local residents, boaters or businesses. Pilot Thomas Logistics is Maxum Petroleum’s parent company. Any idea when the HH fuel dock will open? The fuel dock officially opened May 25. According to my online directory the dock is still closed. The phone for Maxim petroleum is no longer in service. I guess the only way to know for sure is to boat over. It appears unmanned from the Simple Green building on the 26th. Any updates from anyone would be welcome…..?